“Heck – I did it last year, we should be good for a while yet shouldn’t we?”. If you’re thinking about what could possibly go wrong, let’s bring Mr. Murphy and his famous laws into the picture. Murphy’s law dictates that if something can go wrong it will. When it does go wrong, chances are it will go wrong at the most inopportune time. Painting a picture that has happened before…. 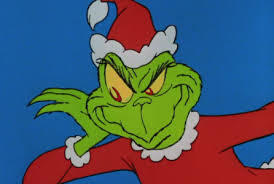 It’s Christmas morning and you are just about to begin opening presents with your family. You are looking forward to a great 5 day break (that you absolutely deserve). You can leave your duties as property manager to wait until you get back. What could possibly go wrong? Then the call from your office answering service comes. Did you know that the underground parkade that you manage in downtown Vancouver is flooded and you have 47 voicemails waiting for you from irate tenants. Don’t let your clogged catch basin steal your Christmas. Have it cleaned and inspected before an emergency happens by the experts at EdenFlo Vacuum Pump service. When you need catch basin service in Vancouver, Aldergrove, Surrey, Langley, Burnaby, New Westminster, Delta or White Rock, contact EdenFlo Pump Truck Services at 604-575-1414 and schedule your annual catch-basin inspection and cleaning today. This entry was posted in Catch Basin Cleaning and tagged Abbotsford catch basin cleaning, alder grove catch basin cleaning, Aldergrove catch basin cleaning, Annual Catch basin cleaning, Annual Catch Basin inspection, burnaby catch basin cleaning, Catch Basin cleaning Surrey, Catch Basin Cleaning Vancouver, Delta Catch Basin Cleaning, emergency catch basin cleaning, emergency drain cleaning Vancouver, langley catch basin cleaning, New Westminster catch basin cleaning, parkade catch basin service, parkade flooding, Vancouver Vacuum pump service, White Rock catch basin cleaning on November 17, 2018 by Edenflo. A catch basin is something that’s very easy for a busy person to ignore. Catch basins are also known as “storm drains” and are responsible for diverting excess water run-off into proper drainage channels. When they work properly, they help prevent flooding and over-saturation of critical drain fields and homes. How often you clean your residential catch basin depends on the purpose that it serves. In BC, many places have catch basins that are connected to sump pumps due to the area’s moist climate and high rates of precipitation. For your house, the catch basin should be cleaned every five years if you are not using your sump pump often. If your sump runs frequently, the basin should be cleaned annually and the sump pump should be inspected. You can schedule this service from EdenFlo along with septic tank cleaning and maintenance. Catch basins shouldn’t be used as dumps for yard clippings or other natural waste. They can not only back up if clogged, but over time, the walls of the basins get caked with debris and their ability to drain run-off is reduced. If the basin is connected to a sump pump, the waste can clog and break the pump itself, which can leave your home flooded during wet weather. 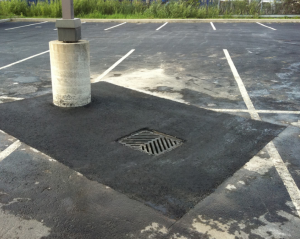 Many commercial catch basins are located in basements, parkades, and parking lots. We recommend that catch basins for commercial properties be inspected and cleaned on an annual basis, preferably before the fall and winter rainy season. Clogged catch basins may require additional remediation. Edenflo can provide this service. The standard remedy for cleaning a clogged catch basin is called hydro excavation. Pressurized water is literally used to excavate the debris out of the basin. The debris is captured with a vacuum on a pump truck. Preventative maintenance of catch basins is as simple as controlling what debris goes into them and having the basins cleaned on an annual basis. Doing these two things will enable you to avoid a clogged or plugged drain. Whether you have a need catch basin service in Vancouver, Aldergrove, Surrey, Langley, Burnaby, New Westminster, Delta or White Rock, contact Edenflo Pump Truck Services at 604-575-1414 and schedule your annual catch-basin inspection and cleaning today. This entry was posted in Edenflo Pump Truck Services and tagged Abbotsford catch basin cleaning, Abbotsford Hydro Excavation, Aldergrove catch basin cleaning, best parkade drain cleaning vancouver, burnaby catch basin cleaning, Burnaby Hydro Excavation, catch basin cleaning BC, Catch basin cleaning Delta, catch basin cleaning New Westminster, catch basin inspection vancouver, hyrdo excavation langley, langley catch basin cleaning, parkade catch basin service, Parkade drain cleaning, Surrey catch basin cleaning, Surrey hydro excavation on August 23, 2018 by Edenflo. Like you. We hate surprises. It seems that we get emergency calls more often than not from property managers with underground parking garages with clogged catch basins. Yes, EdenFlo appreciates the calls and we are always ready to respond to your emergency needs. Having said that…. wouldn’t it be nicer and less stressful to put your catch basin or drain cleaning for your underground garage on a set maintenance schedule? Generally speaking, our low ceiling parking garage clients that allow us to perform regularly scheduled maintenance have fewer urgent issues than those clients that choose to ignore this important mechanical component of your parkade. 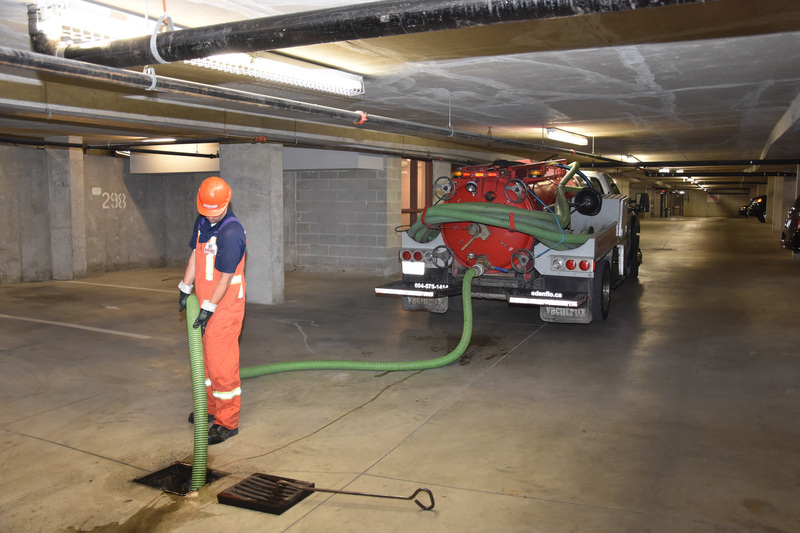 Either way, the good news is that EdenFlo Vacuum Truck Service is the expert for drain cleaning for low clearance areas such as below level parking garages. They have invested in the largest fleet of “Low Boy” vacuum trucks on the lower mainland. These specially designed trucks can access the lowest clearance areas in a garage, putting the equipment right at the drain for cleaning. Whether your low clearance challenge is in Vancouver, Aldergrove, Surrey, Langley, Buranby, New Westminster, Delta or White rock, EdenFlo provides scheduled maintenance service for your parking garage drainage needs. Call us today at 604-575-1414 or send us an email for a complimentary assessment. This entry was posted in Parking Garage Drain Cleaning and tagged Aldergrove catch basin cleaning, below level parking garage drain cleaning, best parkade drain cleaning vancouver, Catch Basin cleaning Surrey, emergency catch basin cleaning, emergency drain cleaning Vancouver, expert low clearance drain cleaning, low clearance drain cleaning, Low clearance drain cleaning Burnaby, Low clearance drain cleaning Delta, low clearance drain cleaning Langley, low clearance drain cleaning New Westminster, low clearance drain cleaning Surrey, Low clearance drain cleaning White rock, parkade catch basin service, Parking lot drain cleaning, save money parkade drain cleaning, underground parking drain cleaning, vacuum pump for parking garage, vacuum pump service for parkade on February 27, 2018 by Edenflo. Being Close is Always Better… Especially When You Are Talking About the Drain in Your Underground Parking Garage. It’s always better to be closer to the action. People pay big dollars to be at the table by the fireplace, or to sit in the front row at the concert. The same is true for access to your catch basins or drains in your underground parking garage. When there is a problem, you need access right away with the right equipment. EdenFlo Pump Truck Service is the expert when it comes to accessing and cleaning your below ground garage drains. Our “Lowboy” fleet of vacuum pump trucks are specifically designed to get as close as possible to your drain issue so that we can get at the problem quickly and remedy your clogged drains efficiently. Having the Low Boy service means that we can get your garage catch basins cleaned quicker, resulting in less cost to you. Whether your low clearance challenge is in Vancouver, Aldergrove, Surrey, Langley, Buranby, New Westminster, Delta or White rock, EdenFlo provides emergency service or scheduled maintenance for your parkade drainage needs. See the difference our specialty garage drain cleaning service makes to you. This entry was posted in Parking Garage Drain Cleaning and tagged Abbotsford catch basin cleaning, below level parking garage drain cleaning, best parkade drain cleaning vancouver, burnaby catch basin cleaning, Catch basin cleaning Delta, catch basin cleaning New Westminster, cleaning catch basins, emergency catch basin cleaning, low clearance drain cleaning Aldergrove, Low clearance drain cleaning Burnaby, low clearance drain cleaning Langley, low clearance drain cleaning New Westminster, low clearance drain cleaning Surrey, low profile vacuum truck, parkade catch basin service, Parkade drain cleaning, parking garage drain cleaning lower mainland, remedy clogged drains in garages on November 24, 2017 by Edenflo. EdenFlo Pump Truck Service will soon have it’s third Low Boy vacuum truck delivered to its Surrey location in order to keep up with demand for drain and catch basin cleaning for low ceiling garages in the lower mainland. The Low Boy is the perfect tool to get in and out of these parking garages as the truck has one of the lowest profiles in the industry. This means that we can get right to the drain, making the cleaning more efficient. This results in less time spent on the job site which ultimately means a more economical cleaning solution. Whether your low clearance challenge is in Vancouver, Aldergrove, Surrey, Langley, Buranby, New Westminster, Delta or White rock, EdenFlo provides scheduled maintenance service for your parking garage drainage needs. With the addition of our third Low Boy, you can be assured of service when you need it. This entry was posted in low clearance garage drain cleaning and tagged below level parking garage drain cleaning, low ceiling drain cleaning, low clearance drain cleaning, low clearance drain cleaning Aldergrove, Low clearance drain cleaning Burnaby, Low clearance drain cleaning Delta, low clearance drain cleaning Langley, low clearance drain cleaning New Westminster, low clearance drain cleaning Surrey, low clearance drain cleaning vancouver, low profile vacuum truck, parkade catch basin service, Parkade drain cleaning, parking garage drain cleaning lower mainland, underground parking drain cleaning, vacuum pump for parking garage on September 26, 2017 by Edenflo. With the density of population in the lower mainland, parking is at a premium. Many buildings rely on underground parking garages to satisfy tenant and employee parking needs. Some parkades exceed six floors underground. 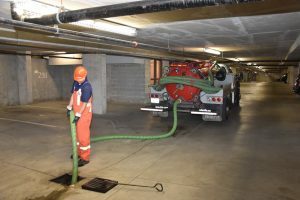 There is a growing issue of dirt buildup and flooding (due to blocked drains and clogged sump pits and pump chambers) commonly seen in multi-level underground parking lots. 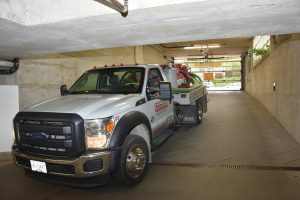 Until now, the cleaning and maintenance of catch basins/sump pits and pump chambers in below ground parking facilities has been awkward with getting standard vacuum equipment into typically tight spaces associated with below level parking. EdenFlo has solved the height problem by customizing a vacuum truck that fits easily under the low ceilings of a parking garage. The “Low Boy” can expertly maneuver in very low – clearance areas and efficiently inspect and clean troublesome catch basins. Soon our fleet of will grow to 3 LowBoys to serve the Vancouver, Surrey, and other lower mainland markets. In addition to our fleet of vac trucks, drain cameras, mechanical snakes,and jetters, the LowBoy compliments all our existing services. EdenFlo offers service for driveways and yard drains, sump pits, above and underground parking lots, all residential, high-rise, municipal, commercial or industrial properties and warehouses. Whether your low clearance challenge is in Vancouver, Aldergrove, Surrey, Burnaby, Delta or Whiterock, EdenFlo provides scheduled maintenance service for your parking garage drainage needs. Regular cleaning and inspection gives you the peace of mind to know that the lower mainland’s best vacuum truck service is keeping your parking area high and dry. This entry was posted in Parking Garage Drain Cleaning and tagged Abbotsford catch basin cleaning, Aldergrove catch basin cleaning, below level parking garage drain cleaning, burnaby catch basin cleaning, Catch Basin cleaning Surrey, Delta Catch Basin Cleaning, low ceiling drain cleaning, low clearance drain cleaning, LowBoy service, Lowboy service abbotsford, LowBoy service aldergrove, Lowboy service Delta, Lowboy service surrey, LowBoy service Vancouver, lower mainland best vacuum truck service, parkade catch basin service, Parkade drain cleaning, parking garage drain cleaning lower mainland, Parking lot draining service, Pump chamber service vancouver, undeground drain, underground catch basin cleaning Vancouver, underground parking drain cleaning, underground sump pit cleaning vancouver, White Rock lowBoy service on June 22, 2017 by Edenflo.